Since opening in June 2011, Sora no Iro has been one of the most hyped shops in Tokyo with some hailing it as the best new store of the year. 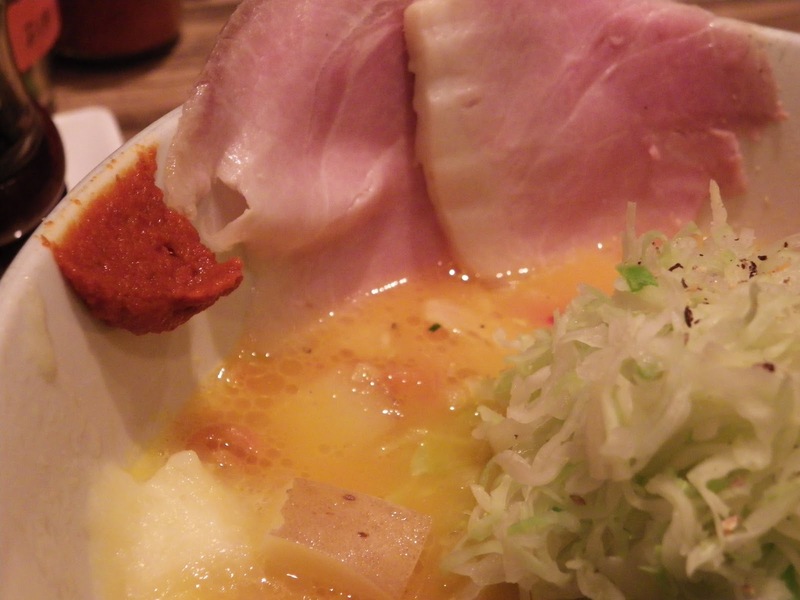 Having a master that graduated from the famous Ippudo certainly doesn't hurt either... Anyway, it was probably about time I visited. 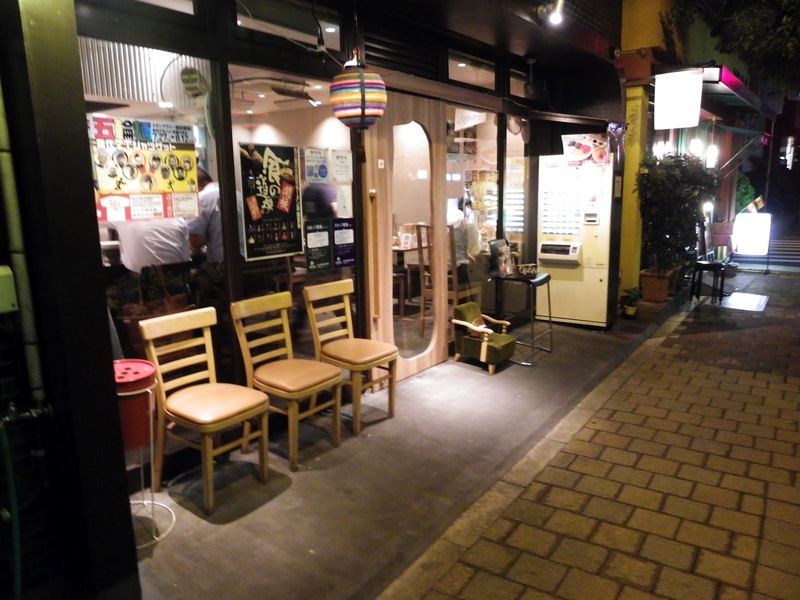 With a bright and lively atmosphere inside and bottles of alcohol on the counter it almost a resembles a small Izakaya where you can stay and have a chat, but the jar of rubber bands on the table to help customers keep their hair out of their food suggest that people are here for serious eating business. Although I visited during the Olympics while they had a special 'Olympic' tsukemen, I went for the Veggie Soba which I had been craving for 12 months... Don't let the name fool you though - The Veggie Soba is as vegetarian friendly as your regular bowl of ramen. But that's not so say that there aren't a lot of interesting and different vegetables here. 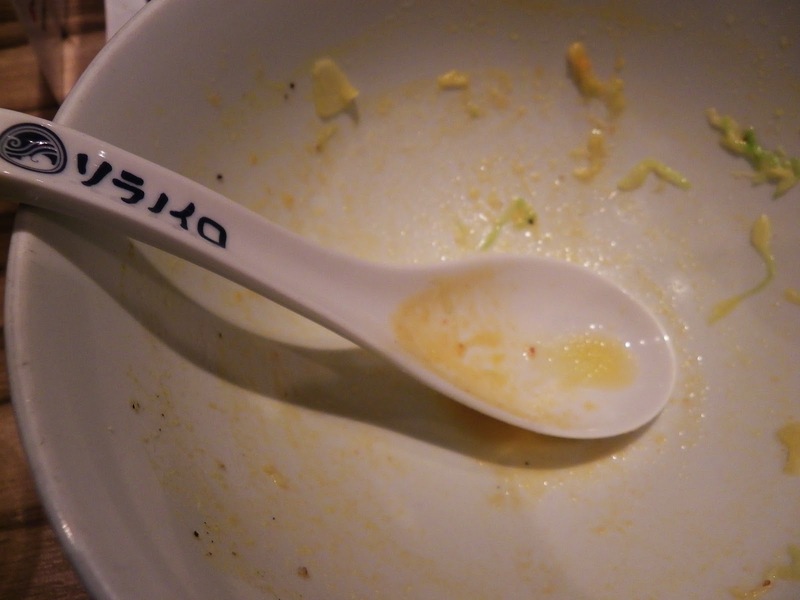 I can safely say that this was the first time I have had broccoli and capsicum in a bowl of ramen (definitely the first time together). 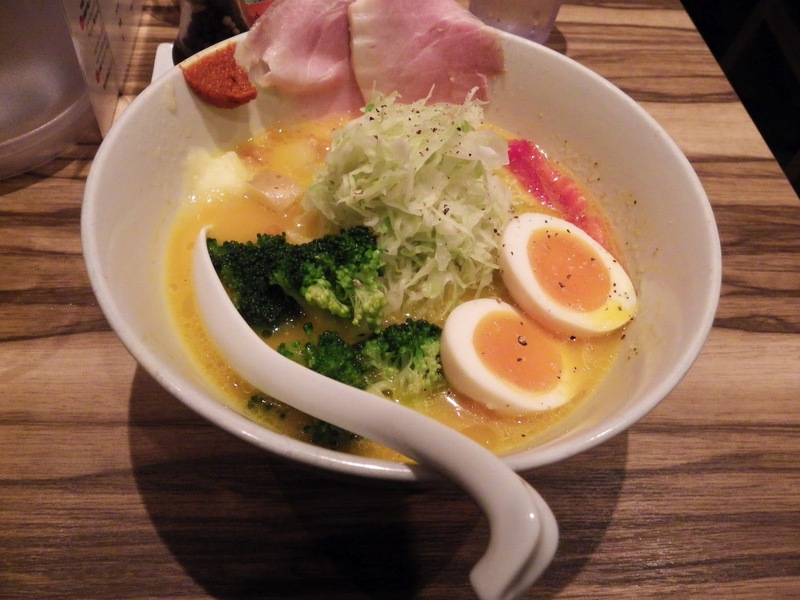 The soup has a home-cooked vibe to it that wouldn't be out of place on a cold winter day while the noodles are wider and flatter than normal.